As a content marketer, you probably know how challenging it can be to create great content for your target audience. You likely also know what it’s like to start blogging, and then fall off the wagon after several weeks. I’ve struggled with creating writing blog posts, ebooks and courses for as long as I can remember. 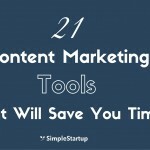 It wasn’t until I started using a system that I became more productive with my content marketing. I’ve found that if you don’t use any sort of system, then it’s much more difficult to get things done, and on time. An 8 week project, can sometimes turn into a 6 month project or longer. So instead of winging it and hoping for the best, it’s probably best to use some sort of system. 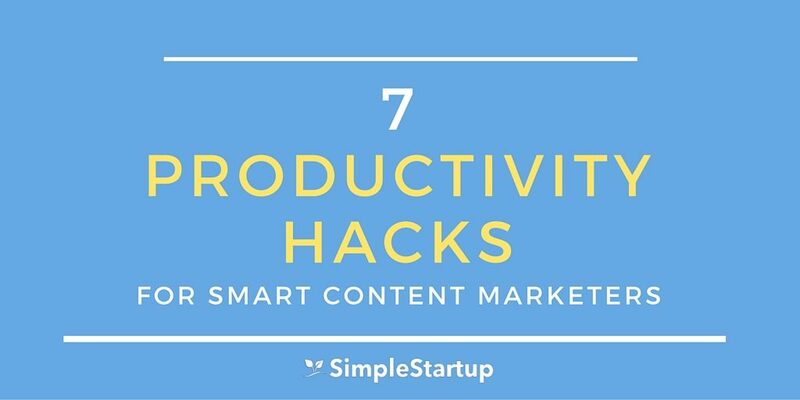 In this post, I’ll share these 7 tips to help you become a better and more productive content marketer. A to-do list helps you stop procrastinating and get things done each day. I first started using to-do lists a few years ago and it changed the way I do business. Instead of things taking many days to get done, I’d get everything done the same day. Even the most trivial things which would linger in the back of my mind if I didn’t complete them would get done. This would free up a lot of mental space. I used to use a to-do book which I bought at the dollar store, and that worked pretty well for a while. But then I started experimenting with apps such as Wunderlist and others. I found that I was able to use my to-do more often by using the apps. You may be the type of person that resists using any sort of productivity app — especially to-do lists. I understand that. A lot of the tools out there aren’t user friendly at all. 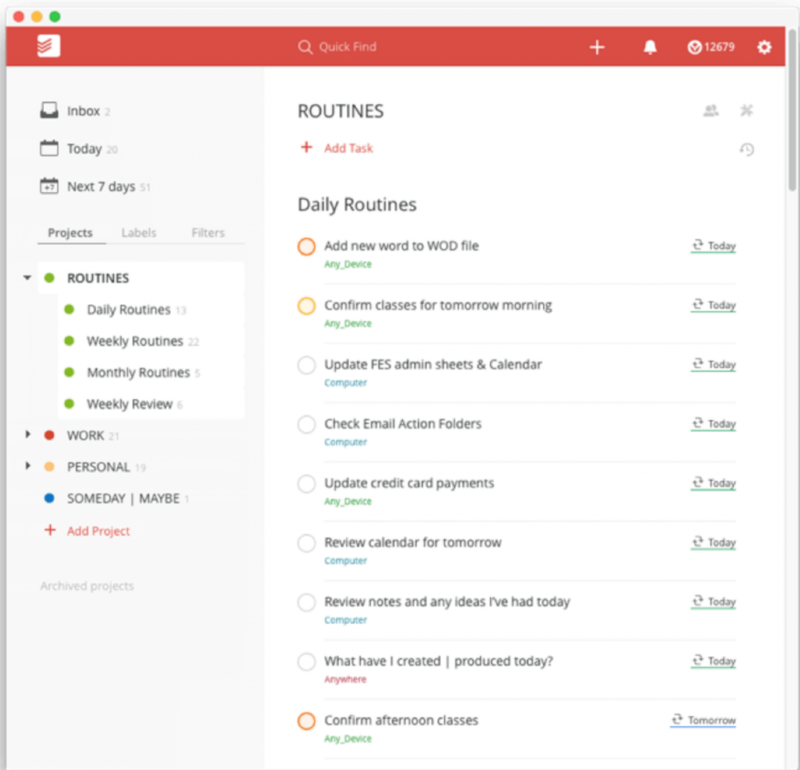 However, I found the the app called Todoist solves a lot of those problems. It’s the most user-friendly to-do app I’ve seen so far. If you’re looking for a solid app that is easy to use, then download it for free. When it’s time to site down and create our content, it’s easy to get distracted. Once that happens, it can take an average of 23 minutes and 15 seconds to get back to the task that you were originally working on. This is significant, because every time you get interrupted while working — taking a phone call, answering a text message or replying to an email, and checking your social media — you lose momentum. Not only that, but you also lower your IQ! People who get distracted easily tend to lower their IQ, whereas those that are less prone to distraction have been proven to have higher intelligence overall. As content marketers we need every bit of intelligence we can get. The more we’re distracted, the less likely we are to produce compelling content. To help reduce distractions throughout the day, I started using an internet site blocking tool called Freedom. Freedom allows you to block any site for however long you choose. You can easily block the internet from your Desktop, Iphone, Ipad and Windows machine. 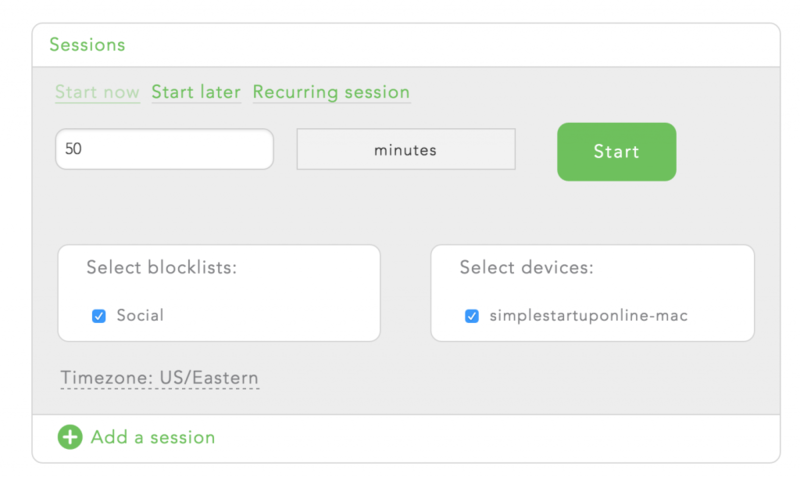 To do this, you simply select the duration of the session (i.e 50 minutes), block list (social) and the device you’d like to block (macbook). Once you start a session you will no longer be able to access those sites for the set amount of time. This app makes it extremely simple to block sites, so you don’t subconsciously start visiting them while you’re working on creating or marketing your content. I would suggest trying out it for free to see if it helps. A study done by Dr. Gail Matthews showed that people who write down their goals, share it with a friend, and send them a weekly update, are 33% more likely to complete their goals than people who don’t do this. It’s simply not enough to create a vague goal in your mind (i.e get more traffic) and hope that you’ll reach it. How much traffic? In what time frame? How will you accomplish it? If you want to excel with your content marketing, then writing down specific goals and having an accountability partner can increase your chances of reaching your content marketing goals. Instead of writing down vague goals, it’s better to write down goals that have meaning. You may have heard about SMART goals. Lead Generation: Get 1000 new email subscribers within the next 60 days. Membership Site: Add 100 new members within the next 90 days. Notice that all of these goals are specific, measurable, attainable, relevant, and time-bound. If you want to accomplish your goals in a timely manner, then writing your goals down using the SMART method is a great way to do that. I’ve found that working in blocks of time as opposed to sporadically working throughout the day works very well. For example, working uninterrupted for 50 minutes straight, and then taking a 10 minute break can be extremely productive. Repeating this a few times can help you complete a large task. If you have trouble focusing for that long, I would suggest using the Pomodoro technique. With this technique, you work in 25 minute chunks of time, then take a short break, and repeat until you’re done the task. The more consistent you are with the technique the more you’ll increase your concentration power and be able to work longer. A tool that I started using to help me stay focused while working on my content creation is Focusatwill. 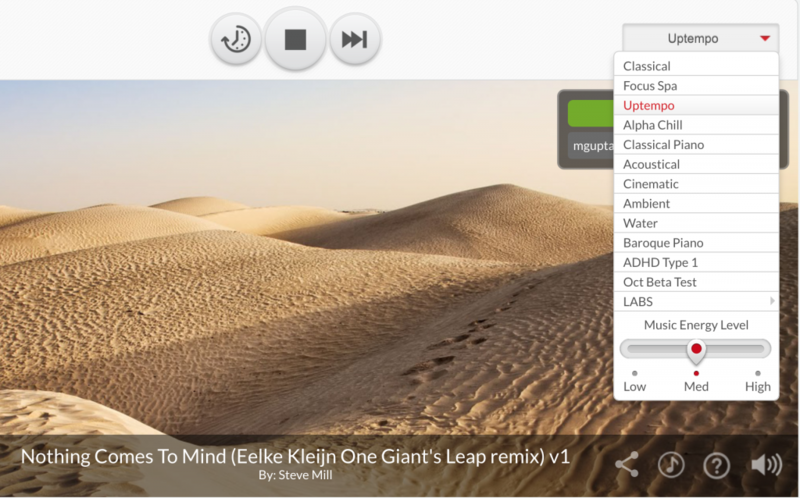 It’s a music app that allows you to boost your concentration while working. They have different types of music you can listen to — classical, uptempo, nature sounds, ambient, etc. If you’re the type of person that can listen to music while working then I would suggest trying it out. You can get a free 15-day trial. As content marketers, it’s important to focus on the things that matter. The 80/20 rule states that 80% of your results come from 20% of your efforts. So by focusing our attention on the 20% with our content marketing, we’ll be able to accomplish a lot more. For example, if you check your Google Analytics, it’s likely that 80% of your traffic comes from 20% of the pages. Or that 80% of your sales comes from 20% of your customers, and so on. If your goal is to increase traffic to your website, then it makes sense to focus on the 20% of the pages that drive the most traffic to your site. You can do that by optimizing those pages for SEO to increase rankings, sharing them more on social media, etc. A tool I use a lot for tracking social media is Buffer. Buffer has advanced analytics that can show you how well your social media updates are performing. For example, if you notice that some of your tweets are getting good engagement, then share those more often to get more retweets, followers, and clicks to your website. Buffer has a cool feature called “Re-Buffer” that allows you to re-post an update by clicking a button. Using a content calendar to schedule your content can be extremely useful and save you time with your content marketing. If you’re just starting out, you can use a simple and free WordPress content calendar called Editor Calendar. It allows you to quickly schedule your content weeks in advance. I used this tool for a while, but needed something a bit more advanced. The tool I use now is called Coschedule. 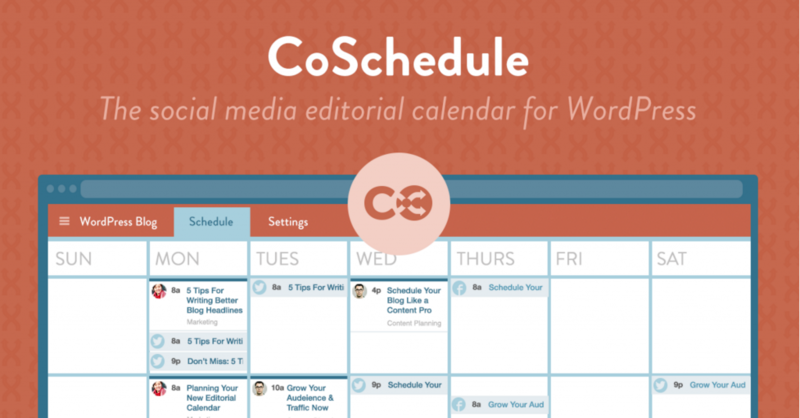 Coschedule is an editorial calendar with all the bells and whistles. It has a nice clean user interface, the ability to easily write, schedule and publish your blog posts, as well as share it on social media. If you want to save time with your content marketing and social media I’d suggest checking out Coschedule. 7. Start Now. Don’t Deviate. One of the biggest mistakes I see content marketers make is that they’ll stop creating and marketing their content. That’s a surefire way to kill your momentum. If you’re not consistently creating great content then you’ll lose readers and you won’t be able to grow your traffic, get more subscribers, leads and sales for your business. If you don’t have much time (i.e you’re busy with client work), then set some realistic goals for yourself. If you can only create content once a week, then do that. If you can do it only once a month, then that’s fine too. The main thing is that you commit to a schedule and let your subscribers know what to expect ahead of time. It’s also important that you don’t sacrifice quality for quantity. It’s better to create one epic 2000 blog post once a month, then to create 4 shorter mediocre pieces. By focusing on creating great content consistently, you’ll see much better results in terms of social shares, organic traffic, and leads. By setting up a system that works for you, you will be able to create content on a consistent basis which should lead to more traffic and leads for your business. Great post. I use every tool you mention and more. I’d like to add two points. First, as important as SMART goal setting is it misses one key component. You cannot do a goal. You have to plan activities for change. Only by analyzing and taking action on activities to repeat, improve, and discontinue can a goal be achieved. Secondly, the problem I see too often with content marketers, bloggers in particular, is they attempt to do it all at once. I separate blog posts into topics, next come up with ideas, later I research, and then write. (all on different days.) Editing begins, at minimum, 24 hours after writing. By using this system I’m two months ahead on my calendar publishing six posts per week.